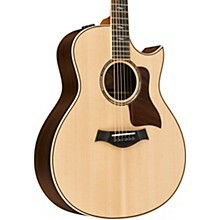 The essence of the Taylor playing experience lives within the 800 Series 816ce Grand Symphony Acoustic-Electric Guitar. 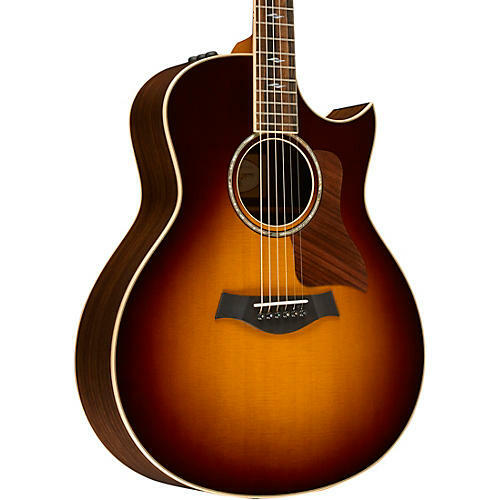 With the debut of its comprehensive redesign in 2014, master guitar designer Andy Powers took what was already Taylor’s flagship guitar series and deployed an array of voicing enhancements, ranging from customized bracing and wood thicknesses for each body style to the use of protein glues and ultra-thin finish, to bring out another level of musicality. Together, these refinements deliver much more than the sum of their parts. For everyone from pros to hobbyists, they make the playing experience more expressive, inspiring and fun. The 816ce Grand Symphony comes with Taylor's Expression System 2 electronics and ships in a Taylor deluxe hardshell case.